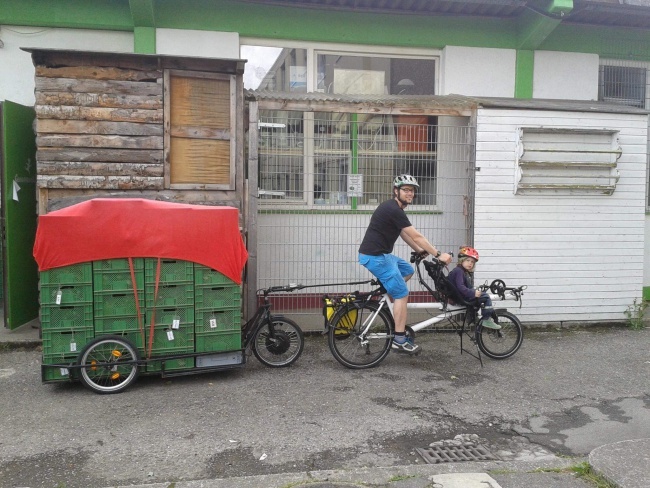 The German-made Carla Cargo is a three-wheeled cycle trailer with an electric assist motor. 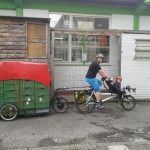 It can be pulled by any type of bicycle (including a cargo cycle or an electric bike), and it allows you to carry heavy (up to 150 kg) and bulky cargo (a loading platform of 60 x 160 cm). 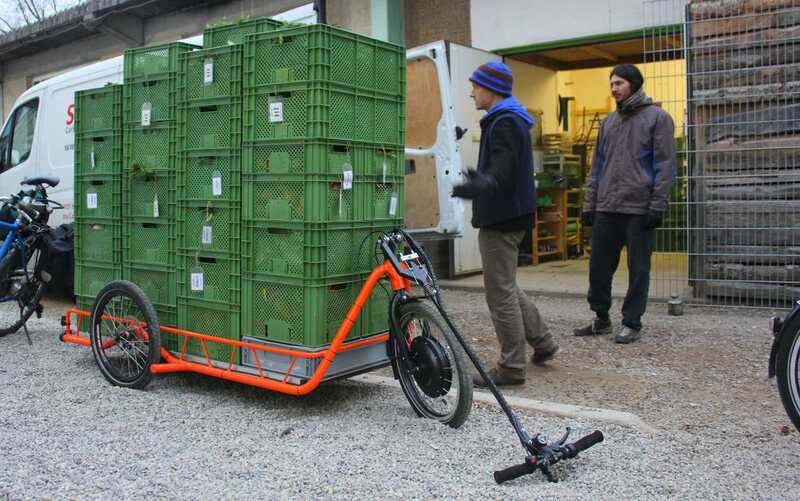 Uncoupled from the bicycle, the Carla Cargo works as a hand cart for large or heavy loads. The vehicle weighs 40 kg including the battery, and has a range of 40 to 60 km. 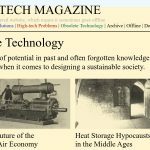 The electric motor is built into the front wheel and can produce 250 watts as a trailer (up to 23 km/h), and 500 watts as a handtruck (up to 6 km/h). The lithium-ion battery has a capacity of 11 or 15 Ah. The vehicle has two disk brakes and a parking brake, which are controlled via the handle or the bicycle handlebar. The Carlo Cargo sells for about 4,000 euro. 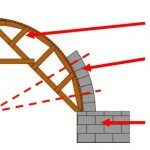 The construction manual is freely accessible online, but only in German for now. The trailer/handcart is present at the International Cargo Bike Festival, April 16-17, in Nijmegem, the Netherlands.